The Stacy Adams Graziano Leather Sole Bike Toe Oxford is a shoe you’ll look forward to wearing. 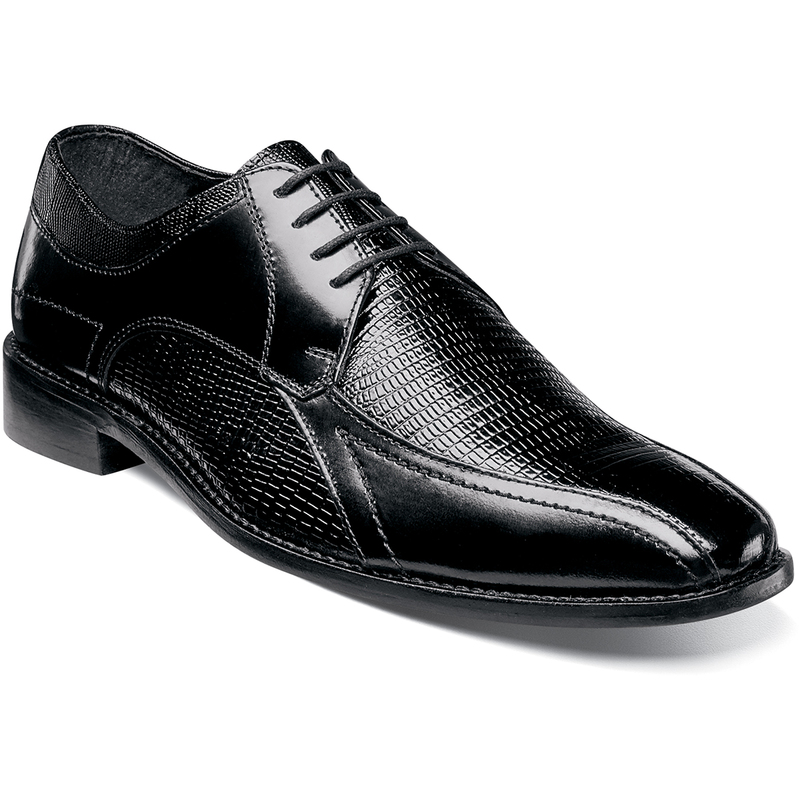 With its lizard print and smooth leather uppers, this oxford is perfect for any dressy occasion. The Graziano is a bike toe oxford.